This paper deals with the numerical simulation of the flow induced sound as generated in the human phonation process. The two-dimensional fluid-structure interaction problem is modeled with the aid of linear elastic problem coupled to the incompressible Navier-Stokes equations in the arbitrary Lagrangian-Eulerian form. For calculation of sound sources and its propagation the Lighthill acoustic analogy is used. This approach is compared to the Perturbed Convective Wave Equation method. All partial differential equations, describing the elastic body motion, the fluid flow and the acoustics, are solved by applying the finite element method. 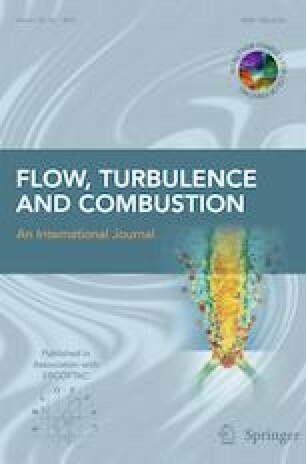 In order to overcome numerical instabilities in the Navier-Stokes equations arising due to high Reynolds numbers, the modified streamline-upwind/Petrov-Galerkin stabilization is used. The implemented iterative coupling procedure is described. Numerical results are presented. The financial support for the present project was provided by the Grant No. GA16-01246S and Grant No. GA17-01747S of the Czech Science Foundation. Authors are grateful for possibility to use CFS++ scientific FE library developed at TU Vienna. This study was funded by Grant No. GA16-01246S and by Grant No. GA17-01747S provided by Czech Science Foundation.